The Firestone Transforce HT2 light truck tire features a highway tread designed for wet and dry traction for commercial applications. The Transforce HT2 is the newest generation light truck tire from Firestone. 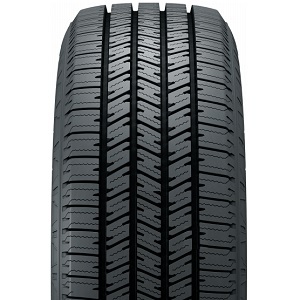 The Transforce HT2 features an optimized tread pattern to promote an even wear, sawtooth edge siping create a biting edge in winter conditions and two full-depth circumferential slots allow for efficient water evacuation to hinder the chances of hydroplaning. For the Firestone Transforce HT2 light truck tire, call or order from our online tire store today.